1960s Vintage Stock, never worn. 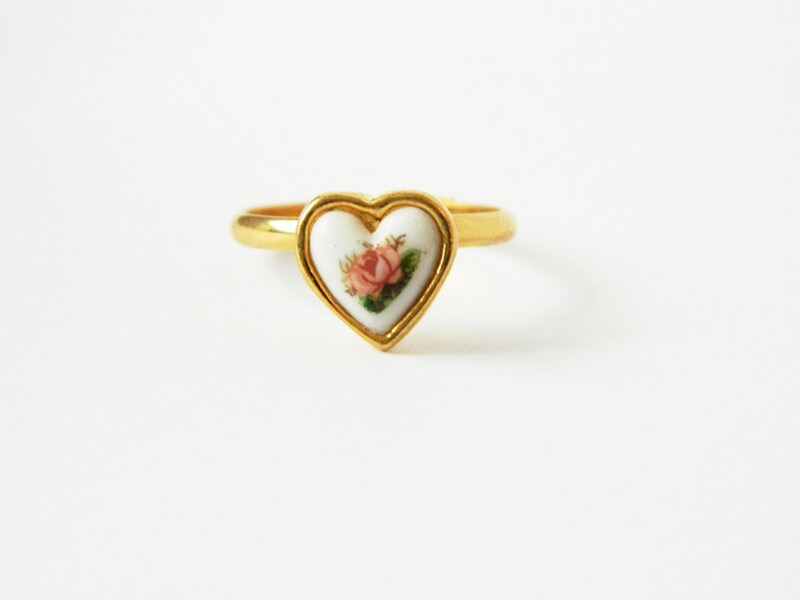 Adjustable Vintage Ring with Rose Heart. Ring Faces vary in Rose placement but each has same floral design. Ring Size: Comfortably Adjustable from size 5 to 8. 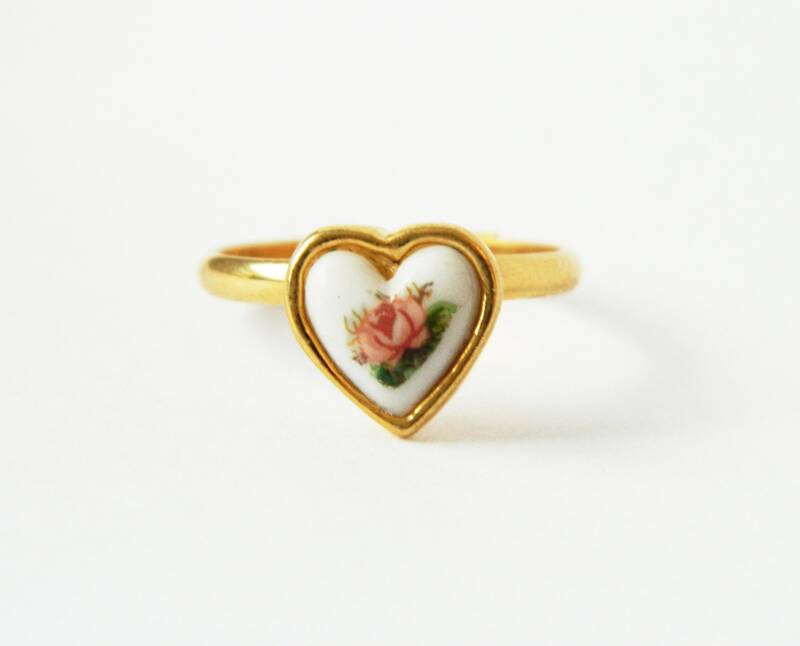 Heart Dimensions: 9mm W x 8mm H.
Materials: Gold Plated Brass adjustable ring. Acrylic cabochon.